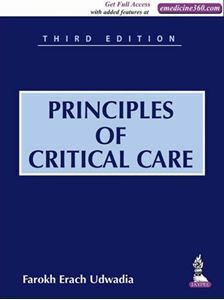 The present edition of this book has been thoroughly revised and updated, incorporating current guidelines in the management of various critical illnesses. The commonly observed important life-threatening illnesses occurring in India, other tropical countries, in the Middle-East and in South-East Asia have been discussed. The critical illnesses are explained with regards to their clinical features, pathophysiology, diagnosis and management. The critical care of fulminant infections in the tropics is given special emphasis for intensivists working in developing tropical countries such as India, Africa and South America. The distinctive features of the book are improved paper quality, full color illustrations, line diagrams, algorithms, tables, boxes and plenty of images. This book includes excellent images in relation to pathologies involving the chest, abdomen and central nervous system.